The study revealed that the tangible presence and handling of physical mail enhanced a recipient’s memory and sensory experience. 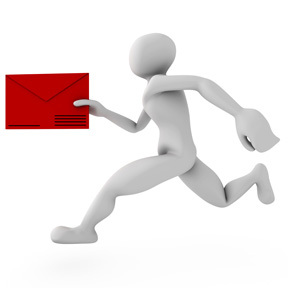 The researchers also found that direct mail has staying power in the households studied. For example, advertising mail is kept in a household for 17 days on average. The study also found that at least 39 percent of households studied had a dedicated display area for their mail. This means that direct marketing mail items are staying present and noticeable in a household. The RoyalMail report also revealed that people still highly value the mail and feel valued as customers when they receive tangible mail. These findings were especially true for a younger subset, a grouping that many advertisers falsely believe only prefers digital communications. As many as three-fourths of those polled who were ages 18 to 24 said they look forward to finding out what’s in their mail on a daily basis. For all ages polled, 65 percent said they anticipate seeing what’s in their mail. When asked to reflect upon their mail and how it affects the, 57 percent of people said that receiving mail makes them feel valued. Nearly one-fourth of those polled said they value an item they can see and touch more highly than something they can only see. Not only did the study ask people how they felt about their mail, researchers also asked how people use their mail. 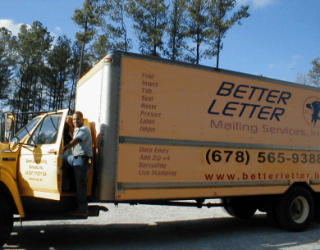 This information is intended to guide direct mail marketers, including those who are Atlanta-based, into the types of marketing people respond to most. For example, 71 percent of mail recipients are likely to open a brochure from a company they’ve ordered from before. This compares to 54 percent who are likely to open a brochure from a company they have not heard from before. An estimated 69 percent of respondents were more likely to open a letter regarding a promotion or special offer while 55 percent of those who opened the letter were likely to interact with it. The next-most likely direct mail piece to open was a letter about a product or service an individual does not currently have, coming in at 60 percent of recipients. Another aspect of the study focused on people’s attitudes toward two popular mail options: direct mail and e-mail. An estimated 63 percent of respondents said they are more likely to take direct mail seriously than when compared with e-mail. When asked which communications method gives the user a better impression of the company, 55 percent of respondents reported that mail gave them a better impression than when compared with e-mail. Even “across the pond,” research has shown there are many benefits to opting for direct mail marketing.